Don't be so quick to toss those Valpak envelopes stuffed with coupons in the trash — you could be throwing away a $100 check. The direct marketing company wrote on its blog that it has been randomly inserting real $100 checks made out to "Cash" among the 39 million signature blue envelopes it mails out each month. The chances of winning are about 1 in 50,000, with "no strings attached,'' the company said in a statement. 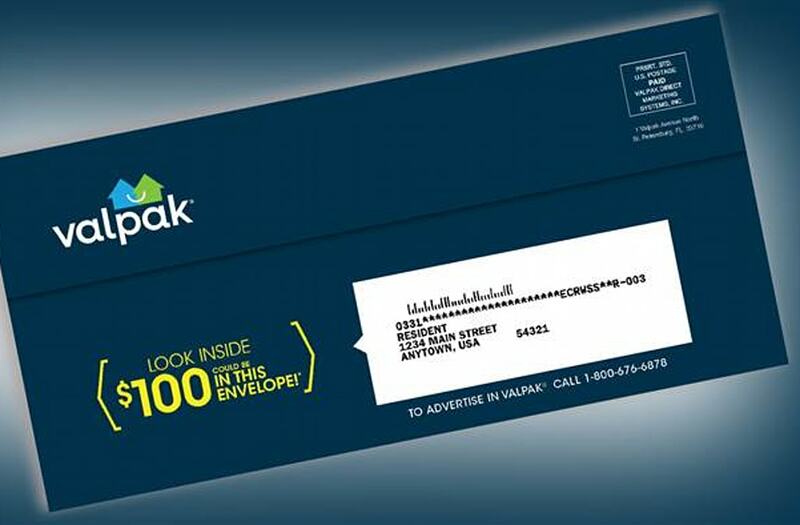 Valpak is inserting the checks as a way to get people to open the envelopes and check out the coupons rather than just chucking them directly in the trash or thinking the check is fake and discarding it. The owner of a Valpak franchise in Grand Rapids, Michigan, told NBC affiliate WZZM that she mailed 36 checks in 2017, but only seven of them were ever cashed. "There's no catch,'' owner Lia Jensen told WZZM. "None. We don't collect any info. It goes right into your account or pocket right then." 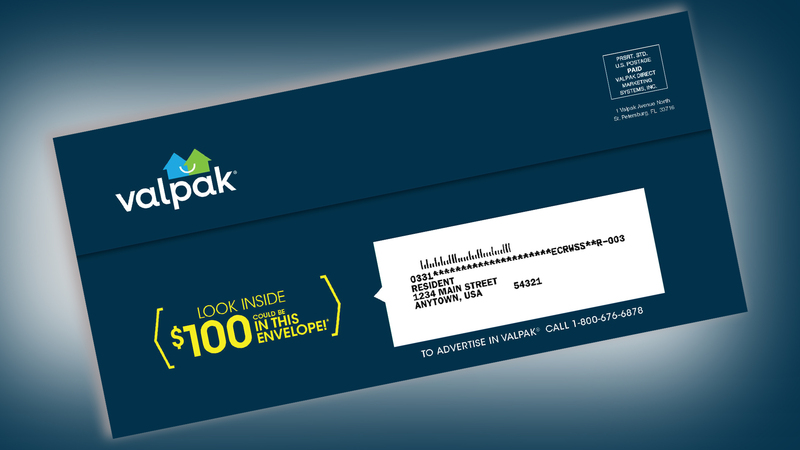 Valpak has now inserted a special wrap that reads "Congratulations $100 Instant Winner" to let people know it's real. The company has been randomly inserting the $100 checks since 1988, but until this year it only happened in specific markets at a certain time. The difference is that Valpak is now putting the checks in envelopes for all 150 markets in the 47 states that it serves.